Invitation to the lecture. Yannis Nakas / Lechaion Harbour Project. Catherine Bouras (Ecole française d’Athènes) will address the topic “Harbours of the Aegean Sea in the Roman Period: an overview”. 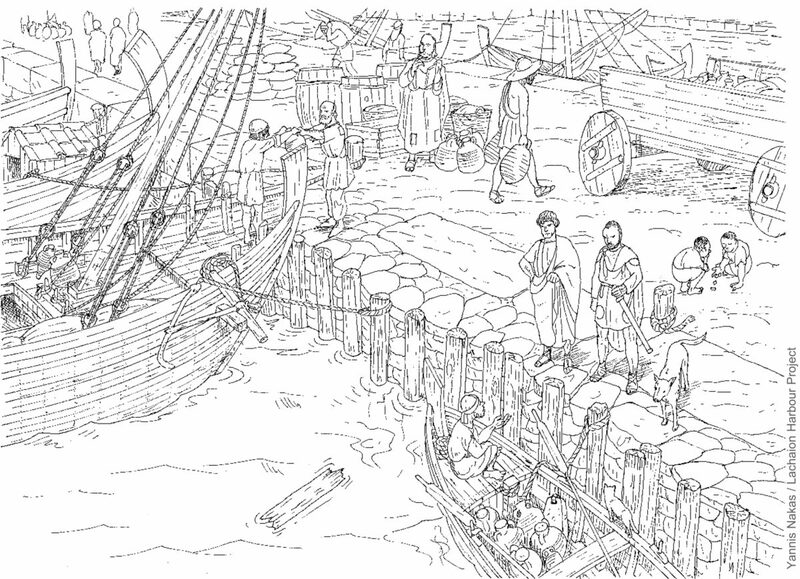 Maritime connections play an important role in the commercial development of the Mediterranean Sea during the Roman period. After Pompey’s triumph over piracy and the installation of the pax romana, seaborne commerce begins to increase and harbours, whether integrated in the urbanism of the town or located at some distance from it, is the factor that ensures the communication towards the sea. Excavations have shown the architectural evolution development of Ostia, the harbour of Rome, in the Imperial period, but what happens to more modest sites in other parts of the Empire? The Aegean Sea offers a very welcoming geography and many coastal and insular sites for natural harbours: how has growing commerce affected the architecture and the urbanism of the harbours of the Aegean area in the Roman period? This is the question that we will attempt to answer, basing our observations on some important harbours of the Aegean Sea. The event is part of the Roman Seminar lecture series.